SpaceshipTwo is a suborbital space plane designed to carry up to six passengers and two crew into space for approximately 5 minutes of weightlessness, before falling back into the atmosphere and gliding to a runway landing. Unique features include a hybrid rocket engine, and a ‘feathered’ configuration for re-entry, in which the tails and aft section of the wing hinge up to ensure a stable, high-drag, safe re-entry. White Knight Two is specifically designed to carry Spaceship Two to launch altitude of approximately 50,000ft and drop it. Unique features of the mothership are the twin fuselages, separate tails, and four engines mounted outboard of the fuselages. The aircraft structure was the largest built entirely from carbon fiber when it was first flown. The structure is strong enough to permit semi-aerobatic manoeuvres. 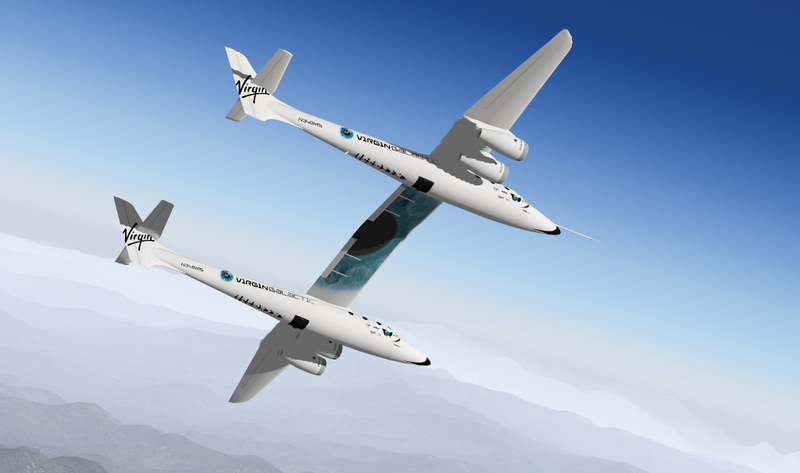 White Knight Two also shares its forward fuselage(s) and cockpit design with SpaceshipTwo. Fully simulated boost to space. RCS system for manoeuvring in space. Simulated ‘feather’ for re-entry. X-plane does not allow flight models to hinge parts like the real aircraft does, nor does this model animate this at present. 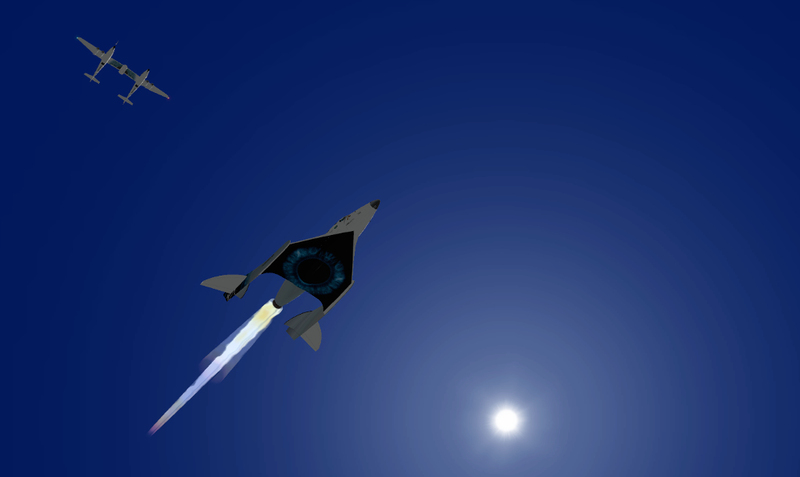 However, the effect of the feather is simulated, and you can fly a realistic re-entry. High-speed glide to landing. It looks like a dart and it glides like one! Custom 2D cockpit. The actual instrumentation in the real aircraft are special and custom-made for the purpose. The X-plane model has a range of instruments that provides all necessary information for a simulated flight. Textures accurately depicting the 2nd SpaceshipTwo scheme. 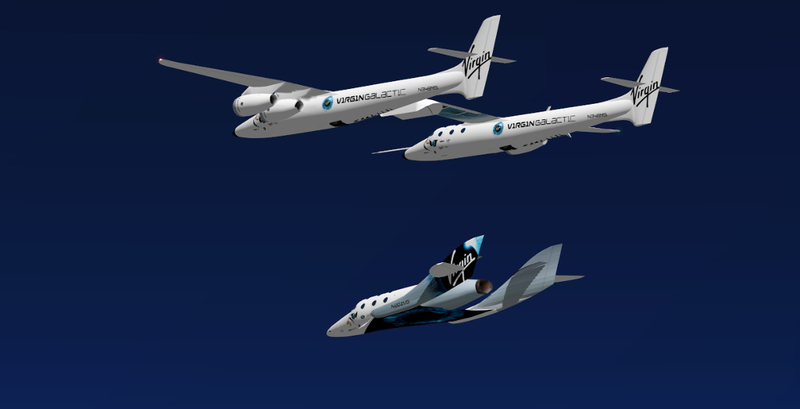 Realistic flight model derived from published performance expectations, photos and video of the actual SpaceshipTwo, combined with years of experience in simulating SpaceshipOne and SpaceshipTwo in X-plane. Planemaker modifiable. You can easily edit the aircraft for your own use and see the results in X-plane. Included manual contains a flight guide on how to fly a full boost-reentry-glide profile. Textures accurately depicting the current White Knight 2 scheme. Optional payload pylon. Fly ‘clean’ or with the pylon and / or spaceship attached. Realistic flight model derived from published and calculated performance expectations, photos and video of the actual aircraft, combined with years of experience in simulating White Knight 2 in X-Plane. Very frame-rate friendly! 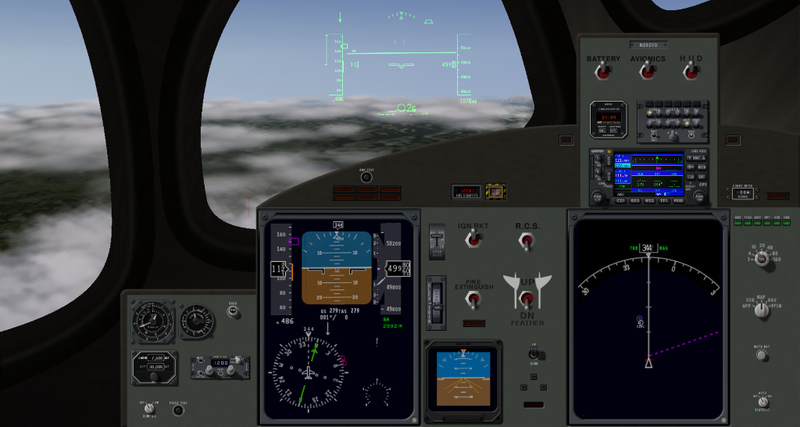 These aircraft run smoothly even on older computers as these models do not presently employ high-poly 3D obj overlays or 4k textures. X-Aerodynamics’ specialty is creating the best possible flight models for X-plane. The underlying flight-model is often overlooked since you can't 'see' it under the fancy 3D objects and high-resolution textures common today. With many years of X-plane as well as real-world flight experience, X-Aero builds flight-models to 97% or better accuracy, based on real aircraft performance figures.